Legendary churches, UNESCO World Heritage sites and other famous landmarks await you on this day trip from London. 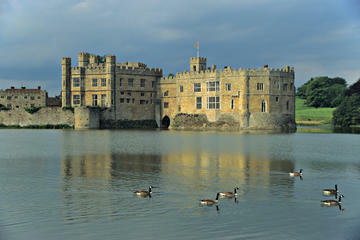 Discover Leeds Castle before it opens to the public during a private, guided visit; snap photos of the striking White Cliffs of Dover; tour Canterbury Cathedral, immortalized by Geoffrey Chaucer in ‘The Canterbury Tales'; explore the beautiful borough of Greenwich; and take in London’s world-famous sights on a sunset cruise along the Thames River. Depart from Victoria Coach Station, and unwind during the drive to Leeds Castle, roughly one hour away. Built as a Norman fortress in the 12th century, the castle has a long, colorful history, from its time as a royal palace for King Edward I in the 13th century through to the American heiress, Lady Baillie, who was the castle’s last private owner. Enjoy early entry to the castle, so you can explore its buildings and grounds before it opens to the general public, and head inside with a guide for a private visit. Explore the bedrooms, chapel, banquet halls, galleries and courtyards. Then make the most of free time to wander around the gardens, lake and maze. When the time comes, return to your coach and travel along the coast to the White Cliffs of Dover, a towering cliff face made of white chalk. Learn how the striking cliffs, which lines part of the English Channel, were the entry point for past war invasions, and then continue to Canterbury. 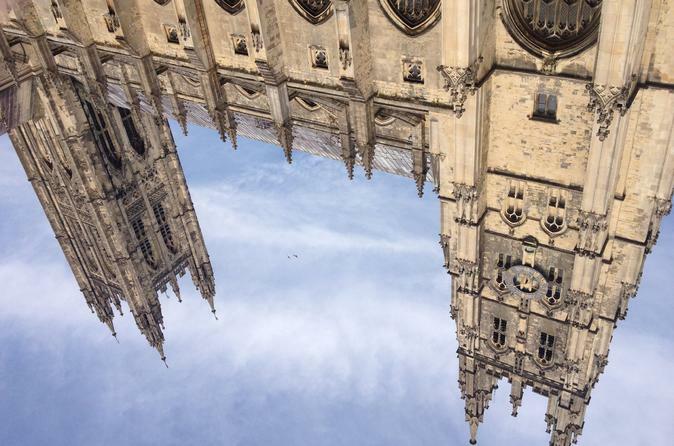 In Canterbury, take a guided tour of Canterbury Cathedral, a UNESCO World Heritage site and one of the Christianity’s most important churches. You’ll also enjoy free time to have lunch (own expense) and explore Canterbury Old Town. Return to London by way of Greenwich, a London borough notable for its maritime history, as the birthplace of many English monarchs from the House of Tudors, and of course, Greenwich Mean Time. Take in the grand sights, from palaces to parks, on a walking tour. Then, return to central London in the evening and conclude your tour with a sunset cruise on the Thames River. Your tour concludes at Embankment Pier. Very nice tour. Enjoyed al, the location even tough the weather didnt cooperate. Coach was clean and comfortable. I would use this tour operator again. There are many things that I enjoyed about this trip, but some that I did not. All the sites that we visited were enjoyable. Especially nice to see the Battle of Britain Memorial. Don't think that this was mentioned online when booking. The tour guide was very nice. Some things that could be improved upon: The departure point at Victoria Coach terminal is very crowded, worse than an airport terminal with people rushing to be the first to board. While we had early entry to Leeds Castle, the solo visitors were right on our backs. Thought that our early entry would give us time to enjoy the castle without interruptions. Thankfully we had a small group. Since there was so much to do, there was no time for a leisurely lunch. The sandwiches at the Battle of Britain memorial leave something to be desired. Bring snacks. I was expecting the Thames river cruise to be later since it was supposed to be a sunset cruise. While enjoyable, the boat moved fast. I am glad I did another river cruise the prior day, which was a more casual pace. Overall it was enjoyable and I am glad I did it. The first stop at Leeds castle was the highlight for us. Just a great setting and neat castle still being used for different rental events. Although working with scaffolding on the front. Another 20 mins would have been perfect and we could have squeezed in a gondola ride around the castle. Just barely cut time too close to leaving for us to risk. Gift shop over priced. Same knights decor 50 pounds more than tower london shop for same merchandise. Canterbury was nice but not as impressive as I expected. However, we had seen a lot of cathedrals and abbey's over 2 weeks. I probably wouldn't have cared to see it if not for all the Canterbury tales reading growing up. Would have been fine skipping though in hindsight. Also scaffolding work on it. We actually didn't try to rush and shop in town here, but sat down and had one of the nicer lunches/meals of our vacation. Also stopped at a WW2 memorial for good views of the white cliffs of Dover. Not too long here but you dont really need more than 20 mins. Overall we weren't wowed by the white cliffs, but they were pretty. Greenwich is a pointless stop other than catching your cruise back. I'm sorry, but dont call it a cruise. Misleading from what you expect. It's a large water taxi. Carries a lot of people inside the boat. Not allowed on deck. Imagine an interior twice as large as a big airplane. Your sitting in rows with no great views and it can get a little warm. No commentary either. The windows aren't great for viewing as they are really dirty. It literally is a water taxi. We had a much better experience a few days earlier with one of the hop on hop off water taxis that allowed you to sit on deck, cleaner, and pointed out sights. Cruise is a definite let down here. Only plus was got off around 6:30 near london eye and able to book tickets to ride for 8pm. The final comment is on the guide. She was nice, but my least favorite guide over the two weeks here and just too soft spoken with not much personality. Not nearly as educational as other guides. Voice could put you to sleep on the bus. Overall, wish I had this day back for something else. I took this tour with two kids, 7 and 14. It wasnt their favorite but I thought it was well done. The boat ride at the end was anticlimactic. We got off the air conditioned bus to stand in the hot sun for 45 minutes waiting for the water taxi, which was entirely indoors and muggy. Leeds castle was beautiful and the cathedral tour was time well spent. I was very happy with this tour. It was just the right pace with the perfect amount of sightseeing. Leeds Castle was beautiful. The tour of Canterbury Cathedral of the time for lunch in the town was lovely. Going to Dover and seeing the white cliffs was really special. Our tour guide was very knowledgeable and patient. The boat ride from Greenwich was a fun way to end the day. I highly recommmend this tour. It is a good itinerary to see primarily Leeds Castle and Canterbury. I did not know much about Canterbury so it was quite educational and learned a lot. Leeds Castle is interesting but not exceptional as you see these kinds of luxurious properties in other places. Stopping at Dover was very short and Greenwich does not really count as a stop as we just started the return boat there. But the idea of coming back with the river boat on Thames is nice. Loved it all....so many wonderful places on the tour. Fell in love with Leeds Castle, would have enjoyed more time there. Canterbury was delightful and finding a festival made it even better. The Greenwich area was quite a walk with lots of history. Great trip was had by all. Trip was fun . Loved stopping at at beach at Dover Cliffs. Man who gave the tour was very great amount of knowledge, and very nice. Loved Canterbury . Good tour, the sights were very good, the guide was a sweet older lady whose voice and energy levels were very weak, so hard to listen to. As you might expect with the itinerary, the day is rushed from start to end. If you go, take a snack, as the only time for lunch is late. I chose this tour mainly to see Canterbury and Greenwich, but since Leeds Castle is 900 years old I thought it would be interesting to see. Leeds Castle was a bit disappointing. The whole place seems to have been renovated within the last century so it had none of the historical appeal that I was expecting. Next, we drove to Dover to see the white cliffs. Our tour guide told stories about its significance in World War II and gave us ample time to walk around the area. We spent most of our time in Canterbury so we had ample opportunity to explore the Cathedral and then walked around town. We even had lunch at a lovely pub where we were able to enjoy the good weather and eat at an outdoor table.  The owner was accommodating and knowledgeable about the area. The last stop before boarding the Thames ferry was Greenwich. This part of the trip was very rushed as we had to get to the ferry by a certain time. We quickly walked through town as the guide pointed out sights we didn't have time to do more than take a quick photo. I was a little disappointed. In general, this was a good tour, but not great.